In this new stage presentation, for the first time, Philippe invites the audience to follow one of his “secret” private daily practice-session on the tight rope. He starts on the ground, after a short introduction, demonstrating a selection of his warm-up movements essential to his best corporal behavior on the wire. “progress program” conducive to artistic creativity. He shares stories about the creation of each walk and shows the evolution of a simple move into a complex choreography, such as the knee balance, and the laying down. 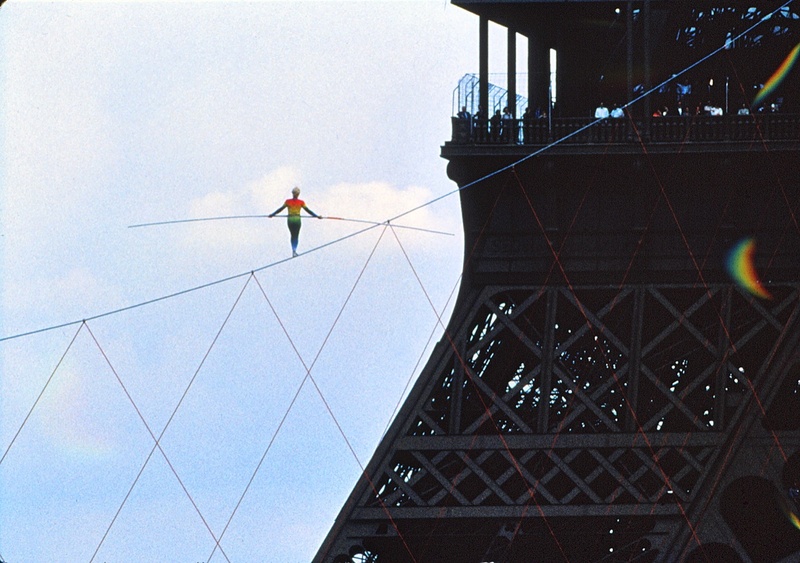 Philippe also performs the juggling without balancing pole and the wirewalker’s backward somersault. Philippe concludes, on the ground again, with a Q&A. A rare opportunity to peer into the backstage secrets of a unique artist.